The highest quality Sandalwood incense stick with less smoke by Nippon Kodo. Each bamboo stick burns for approximately 30 minutes. Amber - Light, sweet, warm & powdery; healing & uplifting; "Nectar of the gods"; 12 10" sticks. High quality resin rolled onto sticks. No charcoal required. 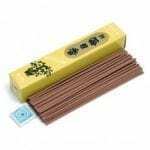 Fragrance of Sandalwood Nippon Kodo stick incense. Quality Japanese rolled incense. No wood in the centre. Comes with a tile stand. 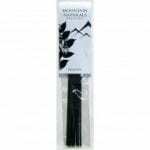 Benzoin - Sweet green floral, scent of pine; healing, energizing & uplifting; 12 10" incense sticks. High quality resins rolled onto sticks. For hundreds of years Nippon Kodo has been producing incense in Japan. The highest quality Bamboo incense stick with less smoke. Add a touch of pure fragrance to your home, office or special space. Sandalwood has a rich, woody aroma and is used for protection and healing. Incense burns for approximately 30 minutes. 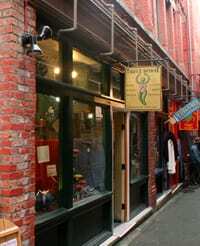 Herb & Earth is a bamboo stick incense with a slender style and vivid shades. 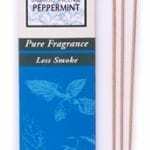 This bamboo stick incense creates less smoke which allows you to smell more of the pure fragrance. The highest quality Bamboo incense stick HERB & EARTH will add the ideal touch of pure fragrance to your home. There are a few important things to keep in mind when returning a product you purchased.You can return unwanted items by post within 15 days of receipt of your goods. You have 15 calendar days to return an item from the date you received it. For complete information, view our full Returns and Exchanges information. 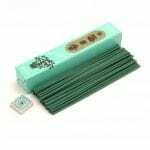 The highest quality Peppermint incense stick with less smoke by Nippon Kodo. Each bamboo stick burns for approximately 30 minutes. 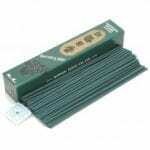 Fragrance of Gardenia Nippon Kodo stick incense. Quality Japanese rolled incense. No wood in the centre. Comes with a tile stand. Fragrance of Patchouli Nippon Kodo stick incense. Quality Japanese rolled incense. No wood in the centre. Comes with a tile stand. 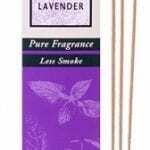 The highest quality Lavender incense stick with less smoke by Nippon Kodo. Each bamboo stick burns for approximately 30 minutes. Fragrance of Natural Cedarwood. Nippon Kodo stick incense. Quality Japanese rolled incense. No wood in the centre. Comes with a tile stand. 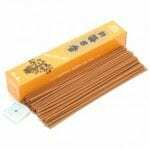 Fragrance of Amber Nippon Kodo stick incense.Quality Japanese rolled incense. No wood in the centre. Comes with a tile stand. Fragrance of Green Tea Nippon Kodo stick incense. Quality Japanese rolled incense. No wood in the centre. Comes with a tile stand. 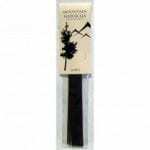 This incense is the highest quality Bergamot incense stick with less smoke by Nippon Kodo. Each bamboo stick burns for approximately 30 minutes.